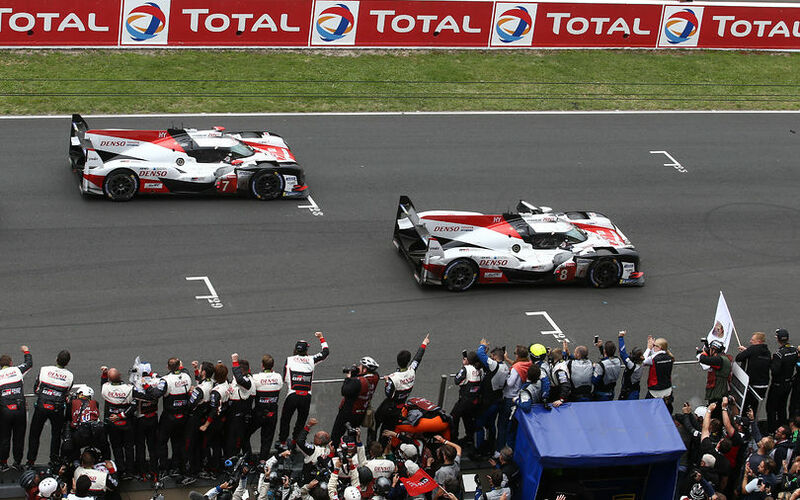 Toyota Gazoo Racing won the 86th Le Mans 24 Hours, taking an historic first victory at its 20th attempt. Both cars ran nearly trouble-free to take a commanding 1-2 finish to flush away the utter disappointment of 2016 that saw Toyota's leading car lose the win in the final lap. Yes, the #7 is very slow again. If I see ti correctly, every class leader has lapped P2 in his class at leas once at the moment. I hope you mean for Toyota from their past reliability. Otherwise, this is what u concluded from his pace? Amazing..
Are you saying Alonso did not deserve to win Le Mans? Well, i was having a dig at his own statement about undeserved victories aimed at Vettel and Hamilton. When asked in Montreal how he feels about having fewer race wins and titles than some of F1's other great drivers, Alonso said: "In a way it's better this way. "I will not be happy if I have many trophies at home and people think that I don't deserve them. That would be even harder. "Obviously we had some opportunities missed, especially the last three years, with McLaren-Honda, didn't deliver the results we wanted. Alonso was consistently doing 3:20s and 3:21s, occasionally going above to 3:22s or 23s and some laps in 3:19s as well, and it was in the night, which is pretty good considering that at the start of the race, when both cars were really pushing, in the day-light, they were doing 3:19s and 20s apart from very few laps where they did 3:18s and a 3:17 lap in between. On Eurosport they had a segment with Tom Christensen called Driver Training where he analysed the driving from the previous two hours. Early on Sunday he brought up Alonso team mates. 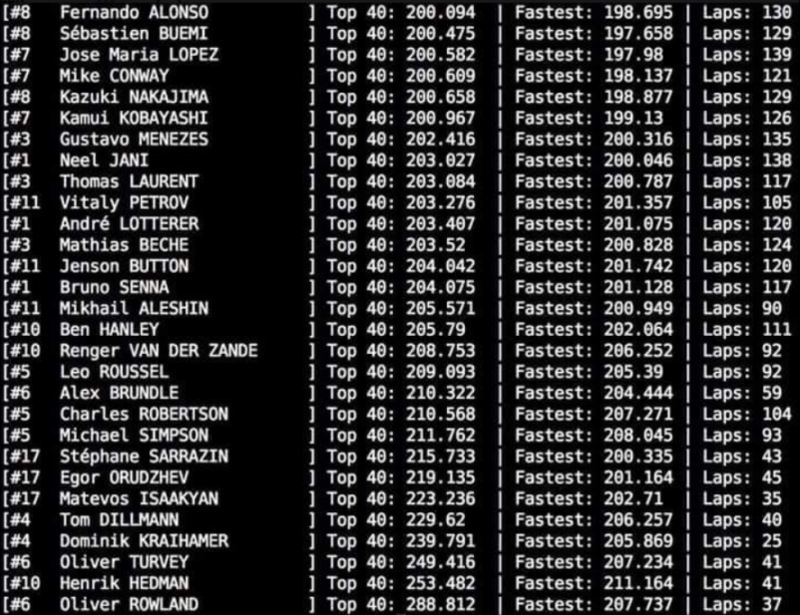 Alonso had the slowest fastest lap but the fastest average lap of his team mates. I didn't follow the race, only small segments of it, but how much do these numbers correlate with actual driver performance anyway? This is endurance racing over a very long period - wouldn't these lap times also be influenced by overtaking, lapping cars etc? How accurately can you compare the stint of one driver to the stint of a completely other driver, perhaps even battling other drivers around him? Pretty accurately I would say. As you said, endurance racing is for a very long period, so moving through traffic, in the fastest way possible is the part of endurance racing. It is not like F1 where you cannot compare 2 stints just because 1 had traffic and other didn't. So if a driver gets faster lap times, because he drove through traffic more efficiently, then that drivers stint will be considered better. Also if you search on youtube 'Alonso lapping cars Le Mans', you will find a video or 2 showing how aggressively Alonso was moving through traffic, it was almost 'dangerous', so one can say that Alonso was the better driver. Please note: Alonso's driving is being discussed in the light of how he closed the gap to #7 car during the night (driven by Jose Maria Lopez at the time) hence I said Alonso was the better driver compered to JML. I keep thinking Toyota won a different sort of endurance challenge. To add to this, I read that Alonso said, that he was the most "aggressive" driver of this car. Therefore he had big tyre temperature problems during the day. The others were fine, but their tyres got too cold during the night, while Alonso had no problems with tyre temps at night. Also somewhere else was concluding that he was the fastest by all by 4 tenths average per lap in the whole stint. Dunno if someone can find it. Great race from Alonso, he drove brilliantly. It is a shame that people will always say that he won a race of two. On another note, as I am a huge Endurance Racing fan, the only thing I can say is that this year the ruleset was simply disgusting. They took away the only stategic element of the race, varying stint strategies. It seems that wherever FIA is involved they mess up big time. motorsport.com wrote: The G-Drive Racing LMP2 team has been stripped of its class victory in the Le Mans 24 Hours for the use of an illegal device to speed up its refuelling stops. It means the #36 Signatech Alpine Oreca of Nicolas Lapierre, Andre Negrao and Pierre Thiriet inherits victory, with the #39 Graff-SO24 entry shared by Vincent Capillaire, Jonathan Hirschi and Tristan Gommendy moving up to second. The offence also applies to the #28 TDS Racing car that narrowly missed out on a podium finish in the hands of Loic Duval, Matthieu Vaxiviere and Francois Perrodo. Consequently, United Autosports' #32 Ligier of Juan Pablo Montoya, Will Owen and Hugo de Sadeleer is promoted to the final place on the LMP2 podium. Completely unrelated to anything currently being discussed in this thread at the moment. What sort of lap time would a current-gen F1 car do around this circuit? The layout reminds me a lot of Hockenheim (the old one), just a double-length lap. Something in the 3 minute to 3:10 range? In addition, I know this would be antithetical to the DNA of F1 but, given the engines and other components are so reliable, why not add F1 to the mix? 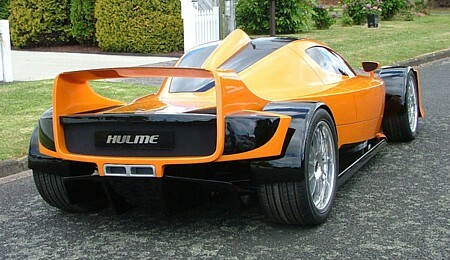 I'd love to see F1 cars attempt an endurance event. 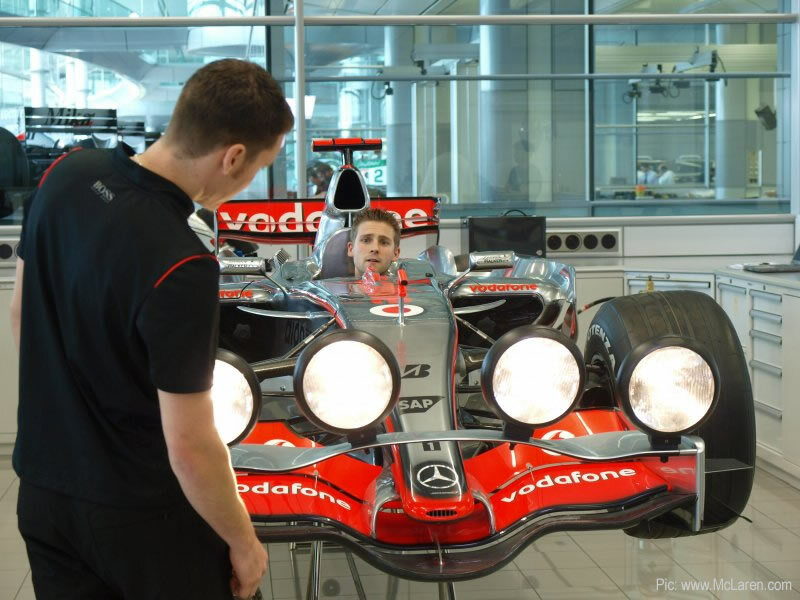 They'd have to introduce headlights to an F1 car, or go the Singapore route (too expensive), but it would be an interesting change, and I'd be interested to learn what they'd need to do to make a reasonable attempt of it (with respect to reliability, gearing, etc...). This analysis puts it at 2.54 for a f1 2008 car in quali trim. Does anyone have motorsport prime and could give us a tl:dr of this?